Some people might be downsizing to a more manageable property but will still have a lot of possessions. That’s no problem – Aussiehas three storage options to make any given scenario. When you know what day you would prefer to move, there are other ways of keeping your costs low. By using Aussie’s Man & Van service, you’ll only pay for the time you use because we charge by the hour. 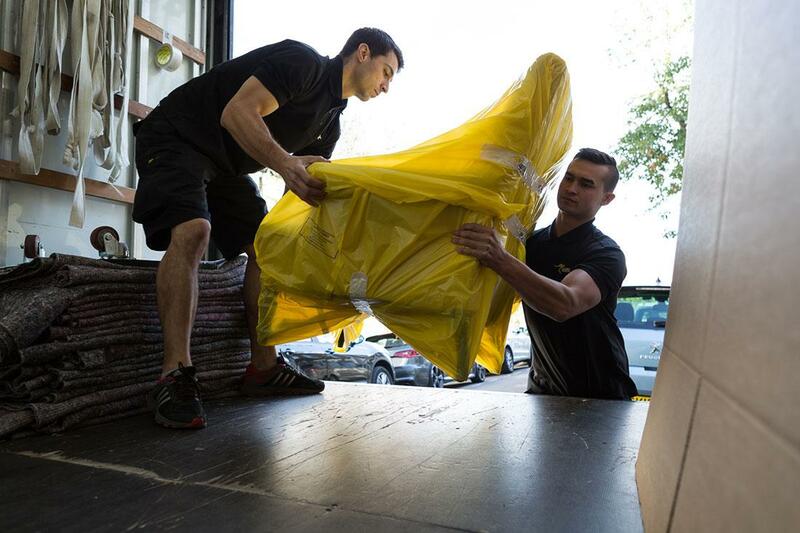 No matter what your requirements are – Aussie has the right removals service for you. If you’re trying to lower your rent outgoings per month or you’re looking for your first property, there are a few options to consider. Various up and coming areas in London are attracting a lot of attention, in addition to being on the cheaper side of the market. Places like Crystal Place, Bexley, Woolwich and Croydon are now seeing an influx of new residents. A lot of this is down to regeneration, new developments, better infrastructure as well as the overall housing market in London. Prices are falling in London, and this means that areas that would have seen sharp increases in value are remaining the same or are becoming more affordable due to a decline in prices. Co-living is a living space for adults of all ages to cohabit, with communal areas that everyone shares. Prices per room range from £ 1, 000 to £ 2, 500 per month, and there are currently three main co-living complexes’ in London. Although co-living won’t fit everyone’s needs, it’s a fresh way of combining rental needs with a focus on interaction and a micro-community. Aussie has a range of affordable removals and storage packages to suit everyone’s situation, which is handy for people who are looking to keep costs low. Aussie Man & Vancharges by the hour and every relocation come with two team members for lifting and packing. This service is perfect for inner-city relocations because the smaller van can avoid congestion. We charge by the hour, meaning you only pay for the time you use. If you have more furniture and appliances, we have a fleet of removals vehicles to choose from. Our Home Removals serviceis typically for customers who have bulky furniture and a lot of appliances. This removals option makes it possible for us to relocate everything in one journey. And because we plan all our jobs in detail and in advance, there will be minimal disruption, even with the larger removal vans. We have three storage optionsavailable for business and domestic customers. Our Container Storagepackage would be suitable if you want long-term storage without the need for regular access. The Self Storagepackage is typically for people or companies that require frequent access or needs storage for a short period. And our AusBox Storageoption which combines elements of both the previous options. Aussie is London’s fastest growing removals company, and it’s down to our ‘can-do’ ethosthat we apply to every job we undertake. We’re confident that we can provide you with the best relocation service, as well as helping you look into any other related package you might need, such as renting a self storage unit. Customer serviceis the key to everything we do. And it’s why we have been successful enough to operate from six branches. Aussie’s customers don’t need to choose between a high standard of serviceand cutting costs. Our rates are among the lowest in London, while our service delivery is hard to match. London’s housing market is slowing down, and prices are dropping; this should be an opportunity for people who may struggle to afford a mortgage previously to find a suitable property. It also represents excellent value for money for anyone else who’s searching for a new home. Furthermore, when you successfully negotiate – remember to book with London’s best removals company. If you’re looking for an affordable and reliable removals company in London, contact ustoday. We have the right removals service for your upcoming move.